We all now recognize the importance of talk today. In policy settings, there are more and more calls for consultation, collaboration, and deliberation. This is particularly the case in environmental planning, with its disputes over genetically modified organisms, power plants, and new roads. 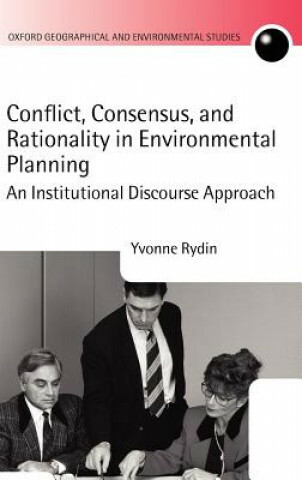 Rydin provides an in-depth and fully theorized account of the role of talk or discourse within environmental planning, combining theory, reported research, and original empirical case studies. She highlights the problem that planners and others face when trying to expand the space for talk within planning situations and provides a detailed assessment of the prospects for consensus-building and deliberative democracy. She also highlights the role that discourse plays in legitimizing institutions of planning and discusses how a rationality of sustainable development may be embedded within new institutional arrangements.